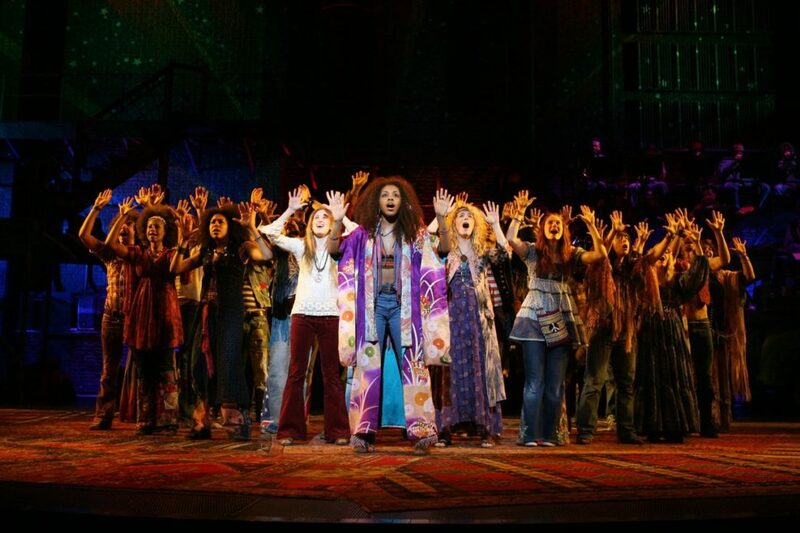 NBC to Bring the ‘Age of Aquarius’ to TV Audiences with Hair Live! Following on the heels of NBC's acclaimed rock musical presentation Jesus Christ Superstar Live in Concert, the network has announced Hair Live! as its next live musical event, set to be broadcast in the spring of 2019 in front of a live audience. Craig Zadan and Neil Meron, who have executive-produced each of NBC's live musicals since The Sound of Music revived the programming genre, will executive-produce the telecast. "When we both, individually, saw Hair on Broadway, we were knocked out by how musical theater could be stretched into something so daring, immersive and audacious," said Zadan and Meron. "Its recent Broadway revival showed how timeless the show is and that it's relevant to any era. Hair is filled with heartfelt emotion, joy and thrilling music and it really will be the new dawning of the Age of Aquarius." Hair tells the story of a group of politically active hippies living a bohemian life in New York while fighting against and resisting the Vietnam War. Claude, his good friends Berger and Sheila, and their "tribe" are coming of age in the world of the sexual revolution while struggling with their rebellion against the war and their conservative parents and society. Claude must decide whether to resist the draft as his friends have done, or succumb to the pressures of conservative America to serve in Vietnam, compromising his principles and beliefs. After an off-Broadway debut in October 1967 at The Public Theater, the show opened on Broadway in April 1968 and ran for 1,750 performances. Since then, numerous productions of the show have been staged around the world, spawning dozens of recordings of the musical. A feature film adaptation was released in 1979, directed by two-time Oscar winner Milos Forman and choreographed by Twyla Tharp. A revival directed by Diane Paulus opened in 2008 at Central Park's Delacorte Theater starring Jonathan Groff as Claude, Will Swenson as Berger and Caren Lyn Manuel as Sheila; it transferred to Broadway in 2009 (with Gavin Creel taking over for Groff and Caissie Levy replacing Manuel), winning the Tony Award for Best Revival of a Musical. An exact broadcast date and casting for Hair Live! will be announced at a later time. Till then, look back at the 2009 Broadway production below.